In the international market, gold - silver is trading strong. With the support of international market, domestic market is seeing good gains in gold and silver. With 0.4 per cent on MCX gold is trading at Rs 27057, while MCX Silver is trading 103 Rs above against the previous close and trading Rs 45275. Expert says both precious metals may go red sign today, because of that Rupees strength against the dollar becoming. 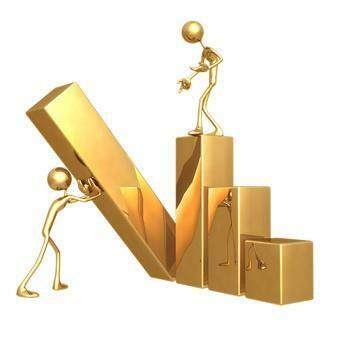 In fact MCX Gold may slip near to 26950 levels and Silver may touch at 45,000 lower levels. Yet currently you can go buying side. ~ Buy MCX Gold above at 27070 for June contract and targets 27093, 27117 and stop loss 27023. ~ Buy MCX Silver July above at 45,300 Targets 45365, 45450 Stop Loss 45150. Unique content and Useful information that you have shared on your blog it will be very helpful for everyone; I would appreciate your hard work and time. keep posting on commodity tips and MCX Trading tips as well. Hey there, you should check out the Gold Trading for all your trading needs.